The circular patterns are the "concentric lamellae" of the "Haversian Canal" in the center. Most of the Haversian canals in the fossil bone are filled with quartz or calcite. In live bone they are open and in thin section would appear dark. 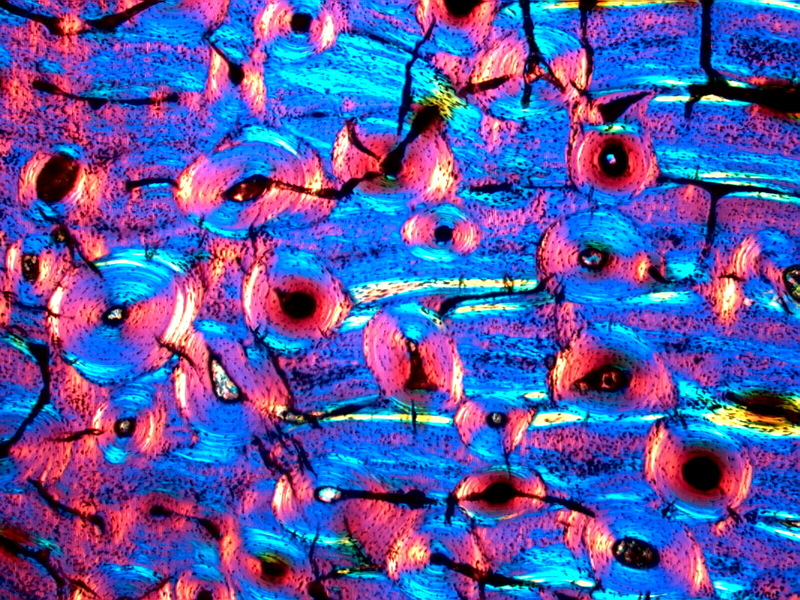 The colors in these images are due to the polarized light used to document crystalline orientation. The blues and yellows are more pronounced in the fossil bone because of the stronger optical properties of quartz over the calcium phosphate of living bone. The black specks are called "Osteocytes" and they are also preserved in the fossil.